In this week’s blog we’ll look at some recalls that have piqued my interest. Mack Trucks, Inc. (Mack) is recalling certain model year 2010-2012 CHU, CXU, GU and TD vehicles manufactured June 16, 2009 through July 18, 2011. In the affected vehicles, the Electronic Power Distribution Module (EPDM) may be contaminated from water leaks in and around the windshield. If exposed to water leaks, contaminants such as road salts may deposit on the EPDM. Deposits of contaminants may result in the circuits being bridged, creating a high resistance short, increasing the risk of a fire. Mack will notify owners and dealers will inspect the EPDM. If contamination has occurred, dealers will replace the EPDM and address the leak, free of charge. The recall will begin in late April 2014. Owners may contact Mack Trucks at 336/393-2000. Mack’s number for this recall is SC0375. Owners may also contact the National Highway Traffic Safety Administration Vehicle Safety Hotline at 888/327-4236 (TTY 800/424-9153), or go to www.safercar.gov. 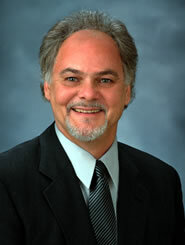 This recall obviously concerns those technicians who have a Mack truck fleet to service. As a matter of fact, they probably know about this issue already. If they ran into a leaking windshield or made a mistake and had a leak in one of their installations, they probably had to deal with the replacement or repair of the EPDM module. The word of caution for those that do not work on these vehicles often is to pay particular care when installing this windshield and double check for leaks when the installation is completed. The ultrasonic leak detector is recommended because it is a dry test instead of a wet test that could cause damage to the module. GM will notify owners. The manufacturer has not yet provided a remedy plan or notification schedule. 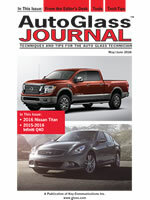 Chevrolet owners may call 800/630-2438. GMC owners may call 866/996-9463. GM’s number for this recall is 14082. Owners may also contact the National Highway Traffic Safety Administration Vehicle Safety Hotline at 888/327-4236 (TTY 1-800-424-9153), or go to www.safercar.gov. This vehicle is a popular service vehicle for automotive glass companies. If your company often uses two-man installations, make sure you get your service vehicle in for the recall repair as soon as possible. You do not want to put your second man at risk of injury due to improper air bag deployment. General Motors LLC (GM) is recalling certain model-year 2008-2013 Buick Enclave and GMC Acadia and 2009-2013 Chevrolet Traverse and 2008-2010 Saturn Outlook vehicles. In the affected vehicles, increased resistance in the driver and passenger seat-mounted side impact air bag (SIAB) wiring harnesses may result in the SIAB and seat belt pretensioners not deploying in the event of a crash. Failure of the side impact air bags and seat belt pretensioners to deploy in a crash increases the risk of injury to the driver and front seat occupant. 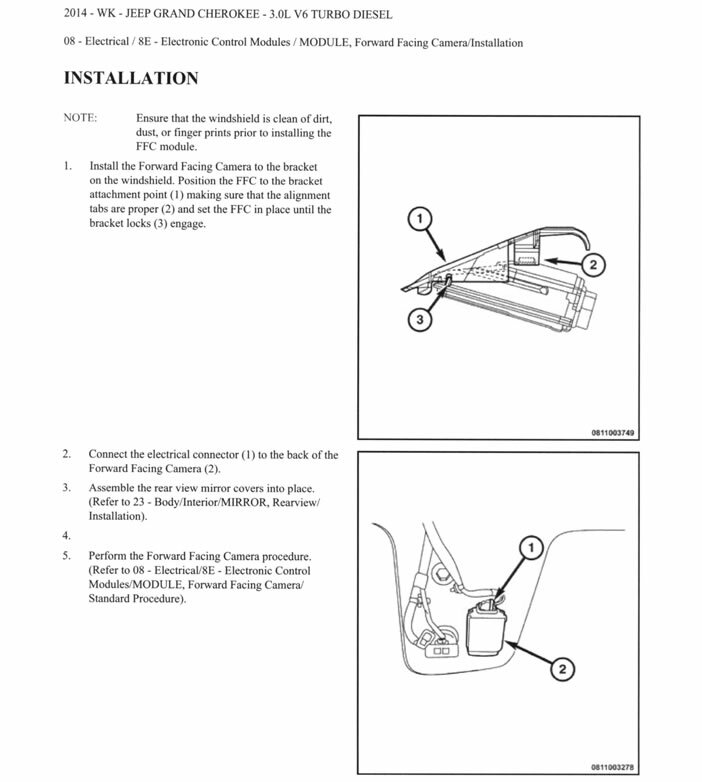 GM will notify owners and dealers will replace the affected harness connections with soldered connections, free of charge. The manufacturer has not yet provided a notification schedule. Buick owners may contact the owner center at 800/521-7300, Chevrolet owners at 866/694-6546, Saturn at 800/553-6000 and GMC owners at 866/996-9463. GM’s number for this recall is 14030. Note: Vehicles repaired as part of Customer Satisfaction Campaign 10085 and special coverage 10335 have already had the subject condition repaired and therefore are not included in the safety recall. This recall is on airbags and seat belt pretensioners that may not deploy in the event of a side impact. If this vehicle is involved in a side impact and it recently had a sidelite replaced on that side, there could be a question of liability. Make sure that your customers are aware of the recall and urge them to make an appointment to have it fixed. I recently got a call from one my clients saying that they were doing a new 2014 Jeep Cherokee Trail Hawk which had a lane departure camera mounted on a bracket attached to the glass. 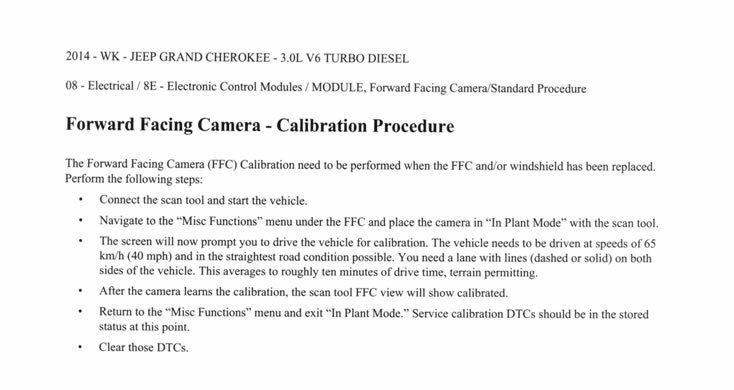 As I had suggested in a previous post, they called their local Jeep dealer to schedule a calibration. The neighborhood service department knew nothing about calibration of the system. My client didn’t know what to do. So, thanks to some new information my friend Mitch Becker gave me, I suggested that they call a local Goodyear Auto Center and see if they could calibrate it for them. In the meantime, I decided to research this with my friends at Chrysler to find out if it needed to be calibrated or not. It wouldn’t be a bad idea to find out what they would charge for the calibration while you’re there as well. Below are two pages from the Chrysler’s TECHAuthorityII. TECHAuthorityII is an online service where visitors can pay to view all of the service manuals for Chrysler vehicles. There is a charge for the subscription, but in some cases, it may be well worth the cost. 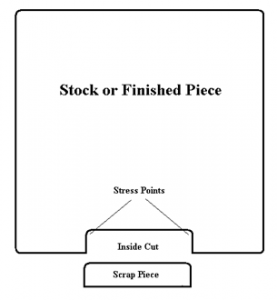 The true challenge of this cut is the separation of the scrap piece from the stock piece. 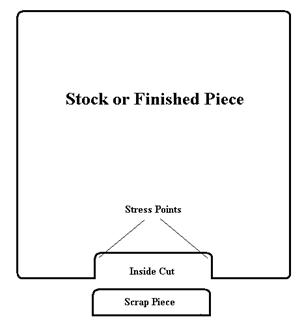 The cutter cannot just bend the glass and cut the lamination because the stresses on the stock piece are too great and the stress will cause the glass to fracture into the finished piece. I have seen a number of different ways to accomplish this feat and all worked relatively well, but there are a few that will produce a better finished piece and a higher rate of success. First of all, I would cut the inside cut first before I cut the other sides to pattern. This way if I am not successful making the most difficult cut (the inside cut), I can at least salvage the largest part of the stock piece for future use. 1. Score the glass to pattern on the number one side and break the score with a pair of drop-jaw pliers and finger pressure. 2. Turn the glass over and score the second side directly on the line of the first score and break the second score in the same way as step one. 3. Relief cuts are the key to success with inside cuts. How you do the relief cut is a matter of preference. 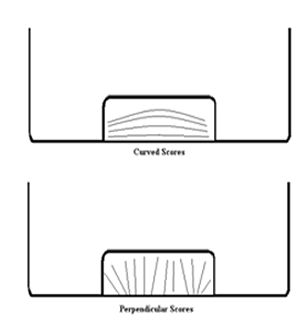 Some make perpendicular scores to the original cut and others make a series of curved scores until the last curved cut is separated. 4. 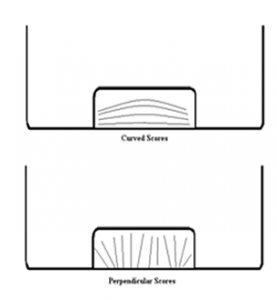 The curved scores allow small glass pieces to be removed piece-by-piece, thus reducing the possibility of stress breaks. The perpendicular scores are broken and run to the previously broken “pattern” cut. In this way, the glass becomes more flexible and sags slightly opening up the crevice between the stock piece and the scrap piece for access to the lamination. 5. This next step is where the quality of the finished product comes in. Many cutters will then soak the area with denatured alcohol and dissolve the lamination by either letting the alcohol eat away at the lamination or by lighting the alcohol and melting the lamination, thus separating the scrap piece from the stock piece. Obviously, I disagree with lighting the alcohol for safety reasons but I also disagree with using alcohol at all. Even letting the alcohol dissolve the lamination will cause the alcohol to seep between the two layers of glass thus beginning the lamination separation process. The two glass layers will eventually separate and cause a clouding effect around the glass perimeter. I prefer to cut the lamination with an old tape measure blade. The blade is very flexible and cuts the lamination around the tight corners cleanly and effectively without the possibility of lamination separation in the future. Once I gave these instructions to my rookie glass cutting client, he commented that it sounded like it might be a little difficult to do. I corrected him and said that it is quite difficult to do and if he succeeded on the first try he is a better man than I because it took me many months of practice to achieve a positive success ratio with inside cuts. I haven’t heard back yet. I’ll keep you posted.